A formal portrait of M. Carey Thomas is the first picture in Frances Passmore's scrapbook. “engaged in a lively conversation [with the President] and several times Miss Thomas threw back her head and laughed heartily as Fanny did…All I heard was Fanny’s closing remark: ‘Well, I shall see you next Saturday. I hope it will be as pleasant an occasion as this,’” (82). Thomas served as a role model to many Mawrters and Passmore was no exception. 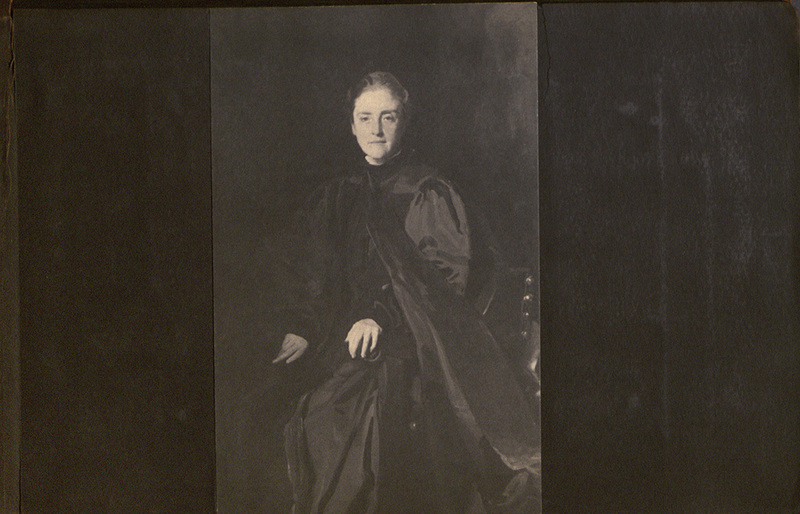 Frances regarded President Thomas as a large part of her time at Bryn Mawr, commemorating her in a personal scrapbook and mentioning her in yearbook poems. Thomas Great Hall, one of the most beautful buildings on campus. 2 Pumroy, Eric. 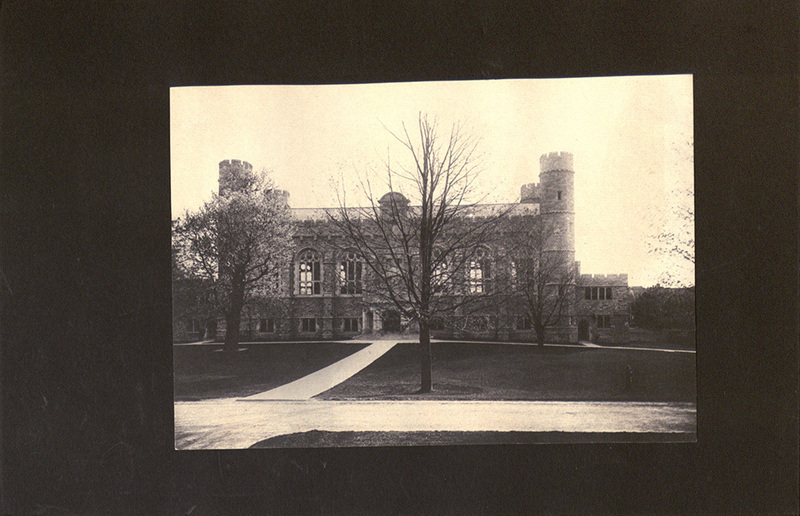 Bryn Mawr College. Scarecrow Press, Inc. 2007. p 152.